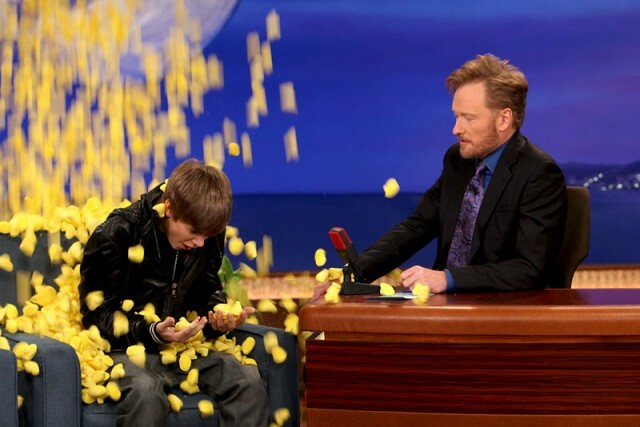 Justin Bieber was a guest on the Conan show last night, and as a gag they dumped his new “favorite” candy on him – Peeps! I thought it was hilarious! To see more about Conan or last nights show please visit teamcoco.com.